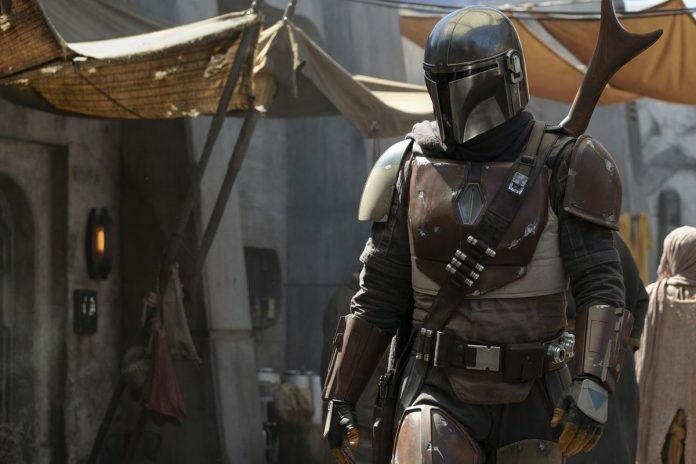 Star Wars is one of Hollywood’s biggest movie franchises, and now Jon Favreau’s upcoming live-action series The Mandalorian is poised to become a streaming hit in its own right. The series for Disney Plus has been filling out its cast quickly, including officially naming Pedro Pascal as its lead actor, and will launch alongside the streaming service in November. You won’t have to wait on Star Wars: Episode IX – The Rise of Skywalker for your next trip to a galaxy far, far away. The Mandalorian will debut on November 12, 2019, exclusively on Disney Plus, Disney’s new streaming service. That is the same day that Disney Plus makes its North American debut, bringing TV and movie fans all kinds of content centered around Star Wars, Marvel superheroes, classic Disney franchises, The Simpsons, and more. A Disney Plus subscription will cost $7 a month, or $70 if you decide to sign up for an entire year. If Disney has its way, Disney Plus will be available on all major mobile devices and streaming setups, as well as Mac and PC web browsers. The Mandalorian isn’t the only Star Wars series coming to Disney Plus, either. A live-action Rogue One spin-off starring Diego Luna and Alan Tudyk, who starred in the theatrical Star Wars prequel as Cassian Andor and K-S20, respectively, is currently filming for the network, while another season of the fan-favorite animated series Star Wars: The Clone Wars and some behind-the-scenes documentaries will appear on Disney Plus, too. And, of course, you’ll be able to stream the Star Wars theatrical films on Disney Plus, although not all of them will be available at launch. At least one bounty hunter from Star Wars: Episode V – The Empire Strikes Back has been confirmed to appear in The Mandalorian, but it’s not the one most fans would expect (given the series’ focus). In December, Lucasfilm revealed The Mandalorian‘s primary cast, which includes a handful of big names, including Pedro Pascal (Game of Thrones) as the Mandalorian himself. Giancarlo Esposito (below), aka drug kingpin Gus Fring on Breaking Bad and Better Call Saul, is the latest to join The Mandalorian‘s crew, accompanied by Supernatural‘s Emily Swallow, veteran character actor Carl Weathers (aka Rocky‘s Apollo Creed), and American Gods guest star Omid Abtahi. Werner Herzog, the 76-year-old director responsible for Grizzly Man and many other critical darlings, will also play a part.